Bro. 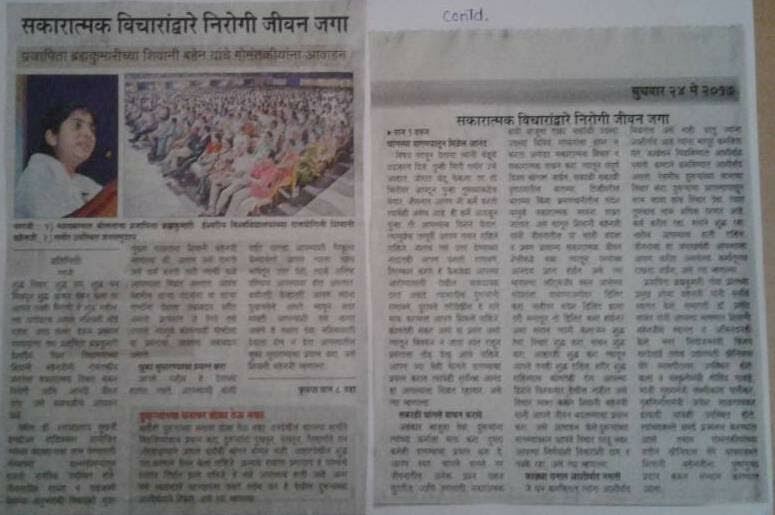 Govind Gawde, Minister for Art and Culture, Govt. 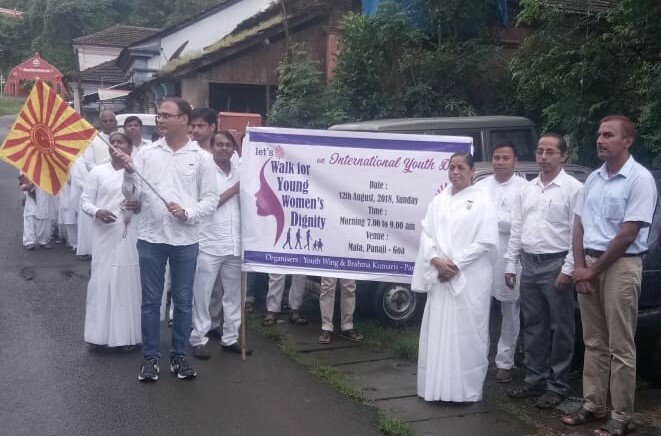 of Goa,felicitating Shobha bahenji at a grand programme organised by YUVA in the capital city of Panaji last Saturday. 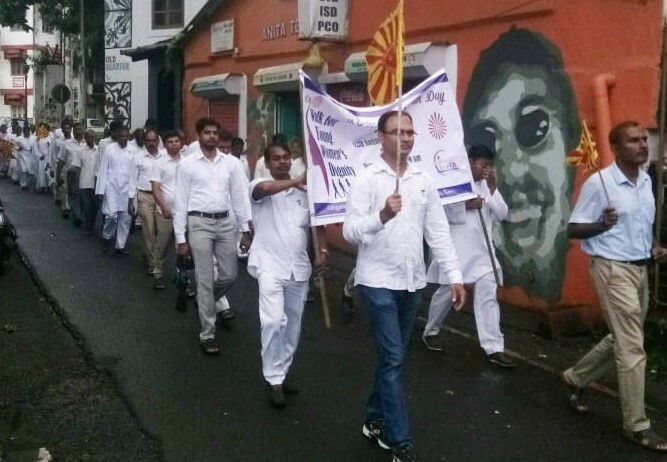 YUVA is an NGO known across Goa for its active services for betterment of the youth in socio-cultural sector. 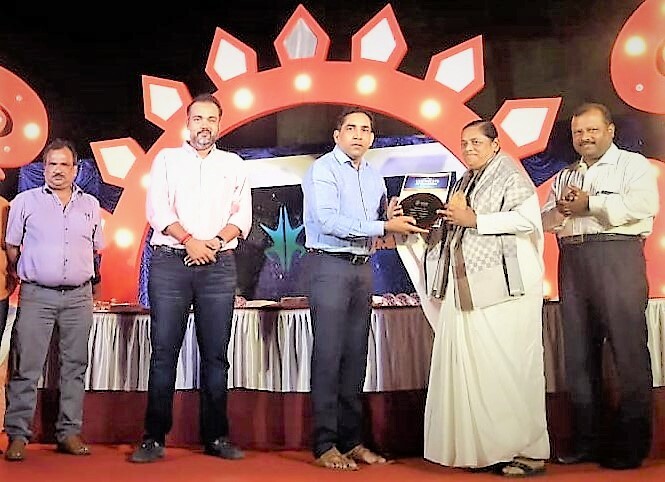 Shobha bahenji was honoured for her outstanding contribution in bringing about positive change in the young generation. 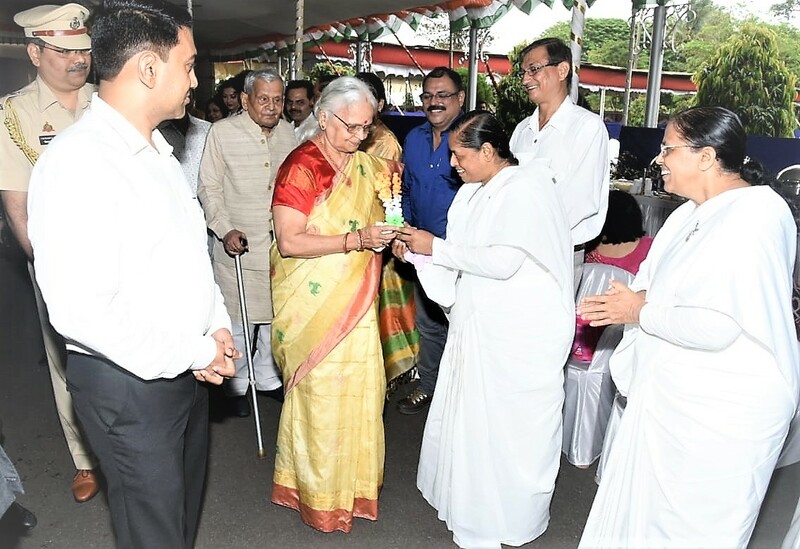 The 4th International Day of Yoga was celebrated by Ministry of AYUSH in association with leading Yoga Institutions including Brahma Kumaris on 21 June, 2018. 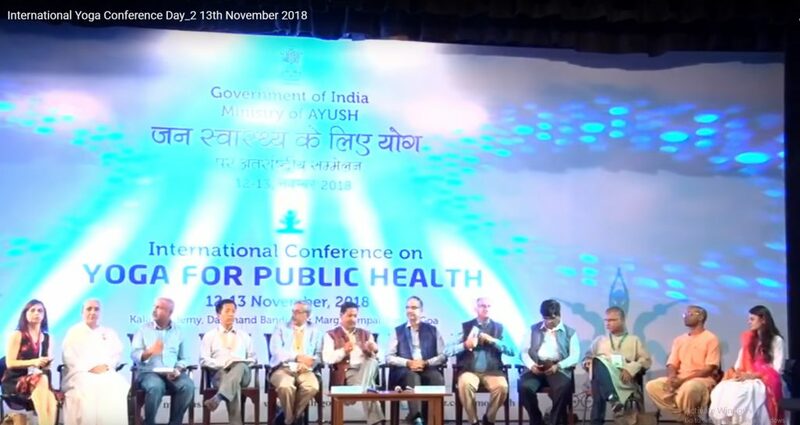 Following the grand celebration, the Ministry of AYUSH, Govt. 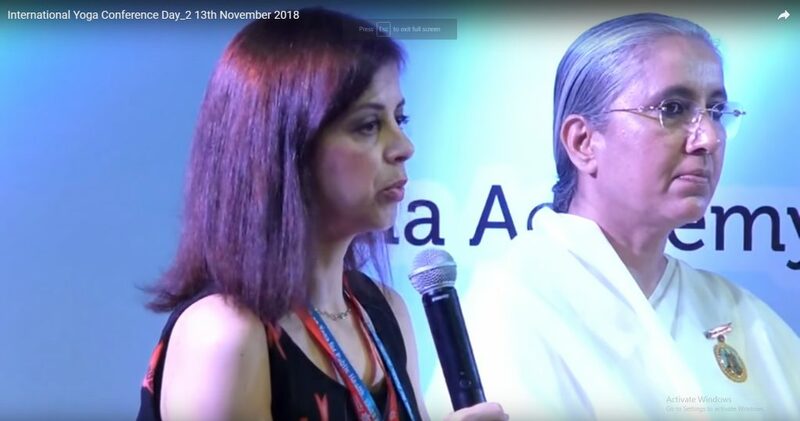 of India has organised the 4th International Yoga Conference at Goa Kala Aacademy, Panaji from 12-13 November 2018. The theme was ‘Yoga for Public Health’. 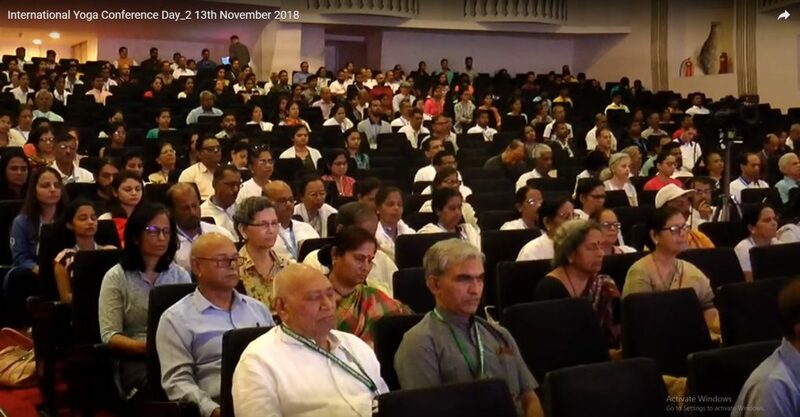 More than 500 Yoga experts and gurus, experts from Allied Sciences, delegates and Yoga enthusiasts from India and abroad participated in this conference. 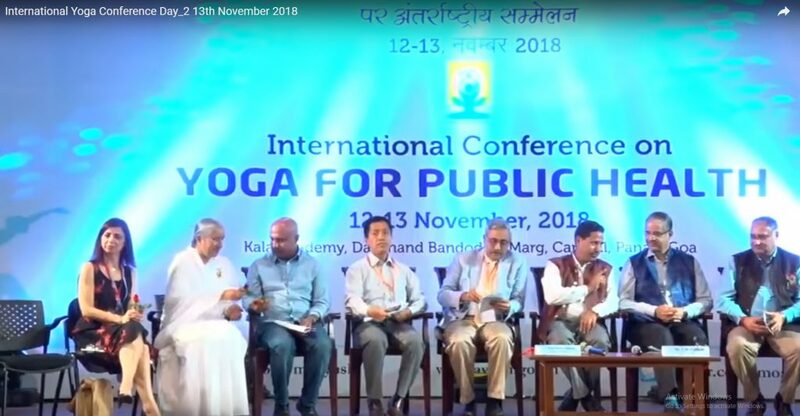 The aim of the conference was to further the cause of Yoga in the field of public health, and to encourage greater and greater research in the field and at the same time highlighting the latest research trends in the field of Yoga research. 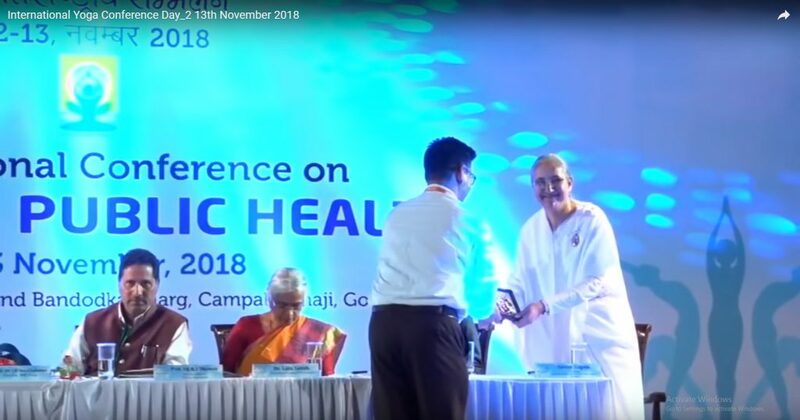 The conference was inaugurated by Sri Sri Ravi Shankar, Founder, The Art of Living, Bangalore and Shri Shripad Naik, Hon’ble MoS (I/C), Ministry of AYUSH, Govt. of India. A video message of Shri Suresh Prabhu, Hon’ble Minister of Commerce and Industry and Civil Aviation, Govt. of India was also shown in the inaugural session. 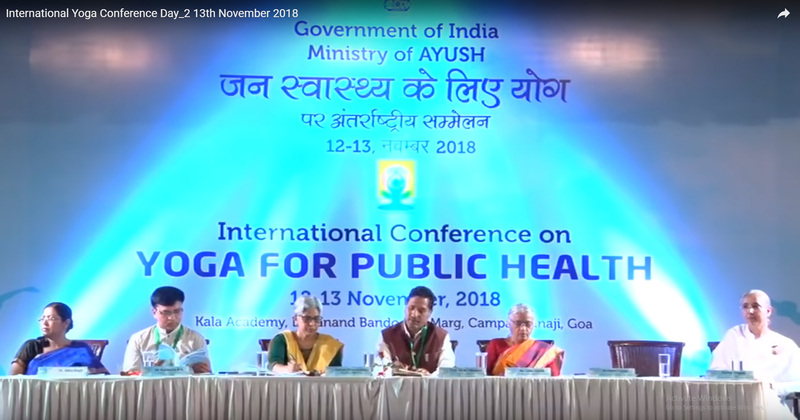 The Conference has various technical sessions with sub-themes like Yoga for Public Health: Emerging Trends and Researches; Yoga as a Preventive Medicine; Yoga for Women, Yoga for Geriatric Population; Yoga for Cardiac Rehabilitation; Yoga for Palliative Care; Yoga for Occupational Health and Yoga for Mental Health. 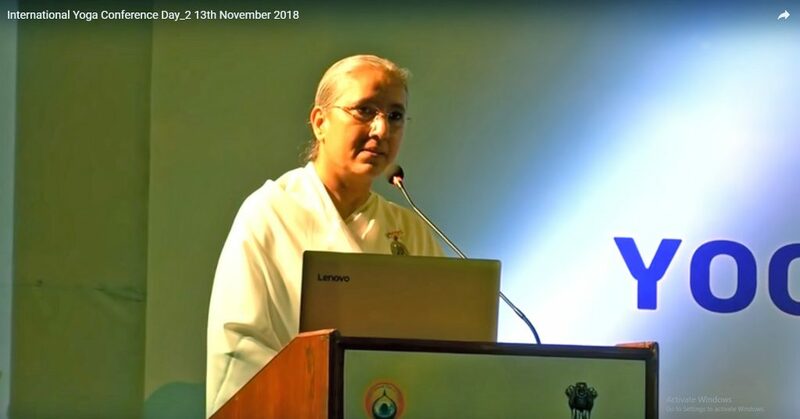 Brahma Kumari Sapna, Sr. Rajyoga Teacher from New Delhi delivered her talk on ‘Raja Yoga for Mental Health’ in a technical session. 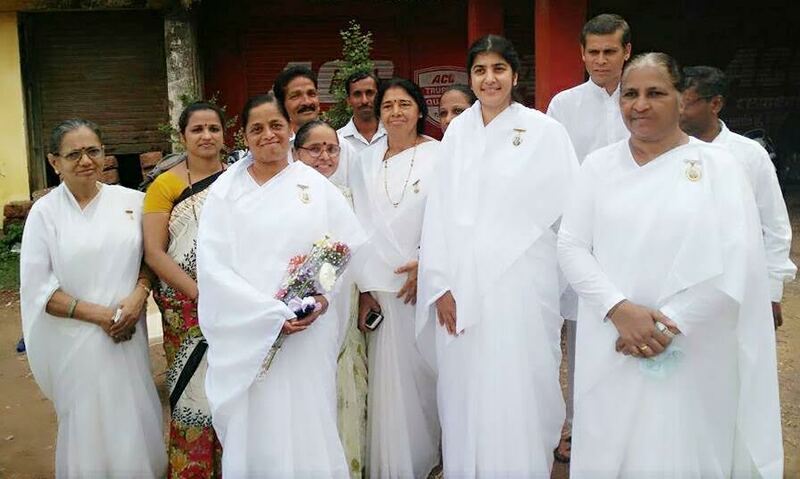 She said Ancient Raja Yoga is a powerful and easy-to-use tool for personal empowerment. 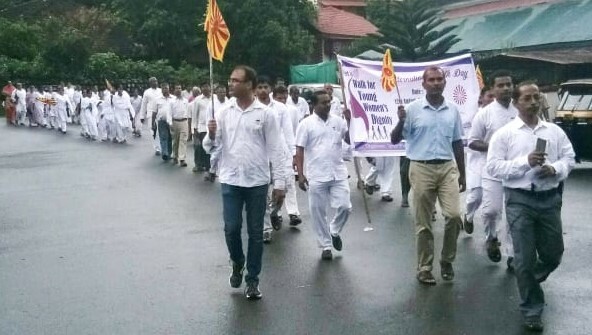 A Yogi is an Ideal Citizen. 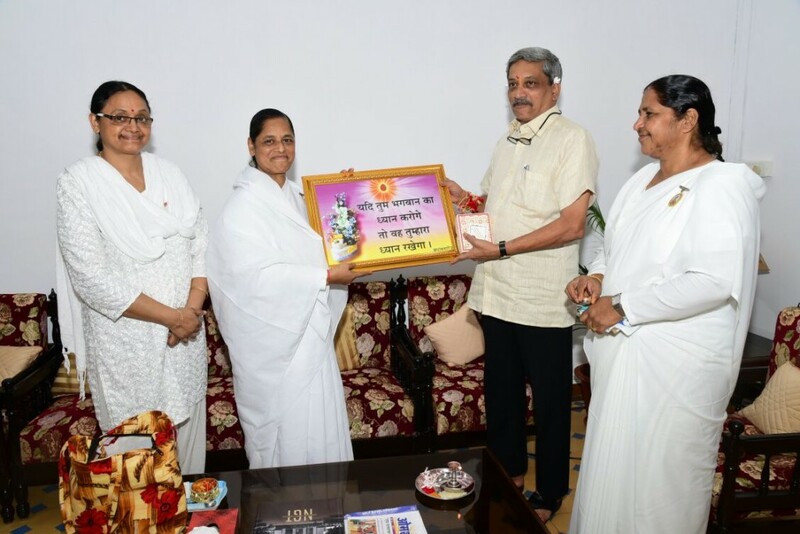 While referring Bhagavad Gita, she said, Gita is the scripture of Yoga in which God has talked about Gyan Yoga, Bhakti Yoga, Karma Yoga and Sanyas Yoga. Yoga means mental link with God the Supreme Soul, link means flow of energy from higher to lower and empowers the soul to perform elevated actions. With the practice of Raja Yoga, one gets power to think positive and act positive. 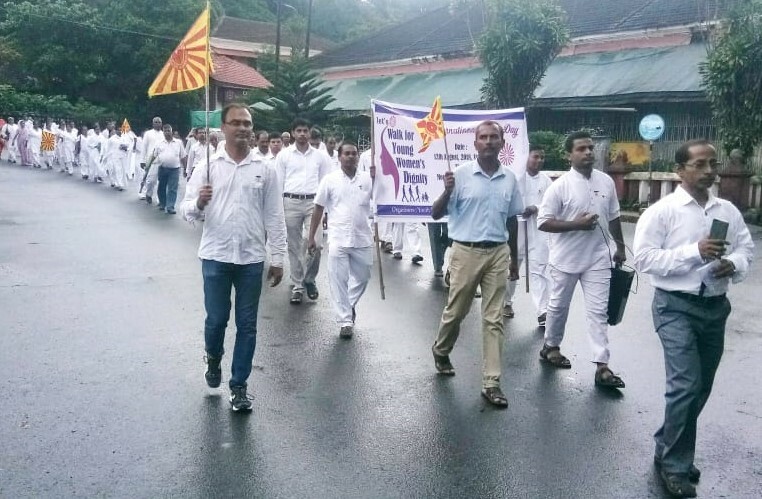 Raja Yoga is an effective tool for dealing with mental health issues that are increasing in today’s stressed world. 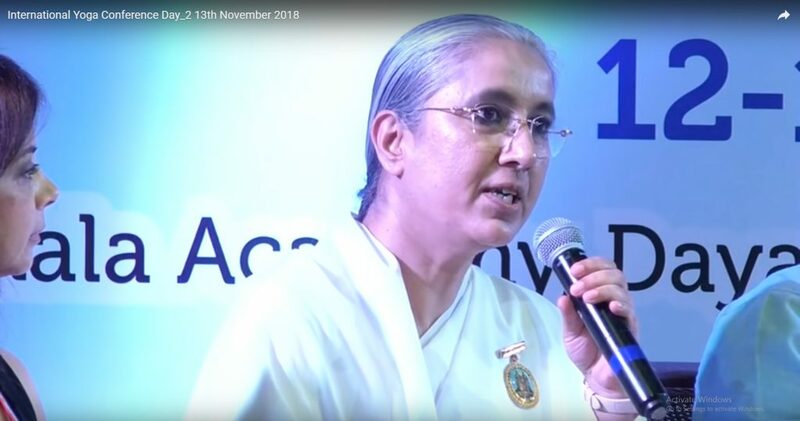 In a Panel Discussion, she emphasised to introduce Yoga in the curriculum of school syllabus. To make society strong and peaceful, yoga is essentially to be taught from childhood. LIFE ENRICHMENT PROGRAMME for Senior Citizens was successfully held in the city today. Dr. Mahesh Hemadri, Geriatrician, Global Hospital and Research Centre, Mt. 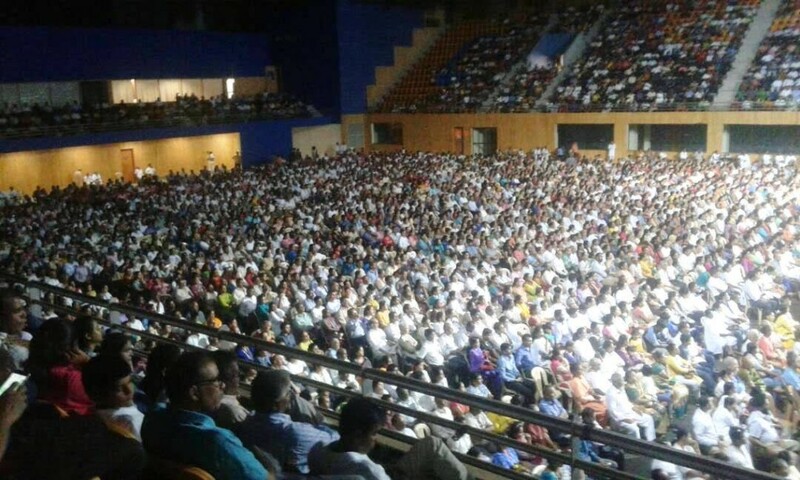 Abu, interacted with over 400 elderly people gathered at the prestigious Institute Menezes Braganza Hall. The theme of the presentation was ‘Ageing Gracefully’. 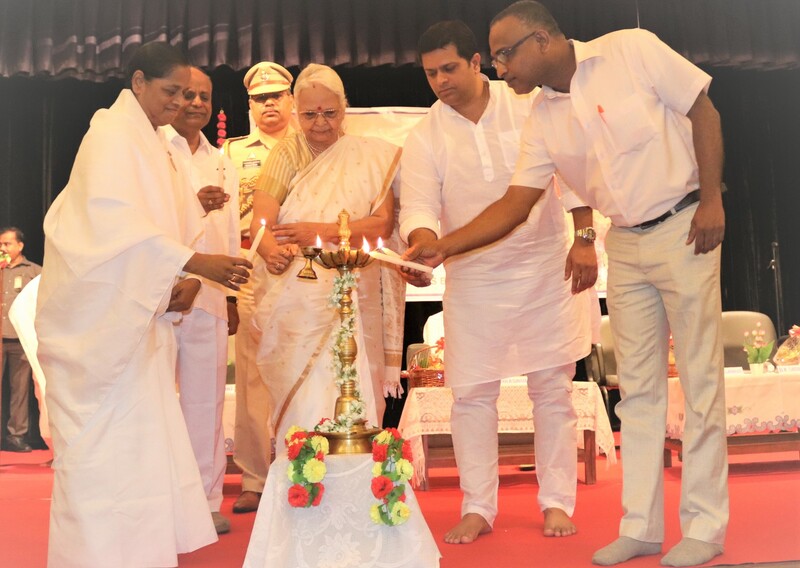 Sis.Mridula Sinha, Hon’ble Governor of Goa was the Chief-Guest at the inaugural ceremony of the event, while Bro. Jayesh Salgaonkar, Hon’ble Minister for Housing and Rural Development, Govt. 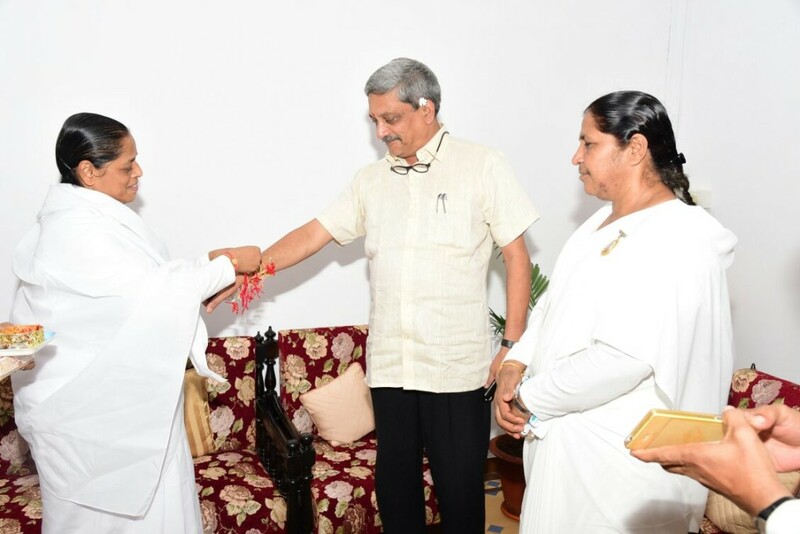 of Goa was the Guest of Honour. Bro. Vinayak Volvoikar, Director, Provedoria (Institute for Public Assistance), Govt. of Goa also graced the function. B. K. Shobha bahenji welcomed the gathering. 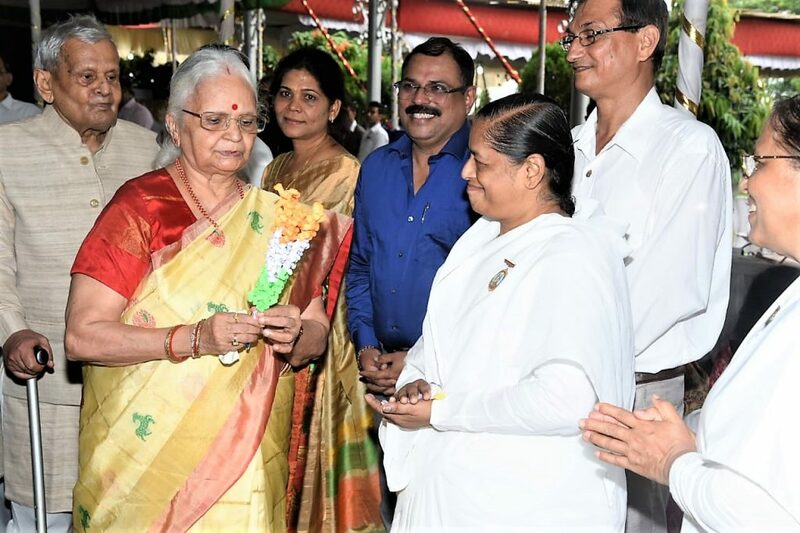 B. K. Surekha bahenji proposed the vote of thanks. 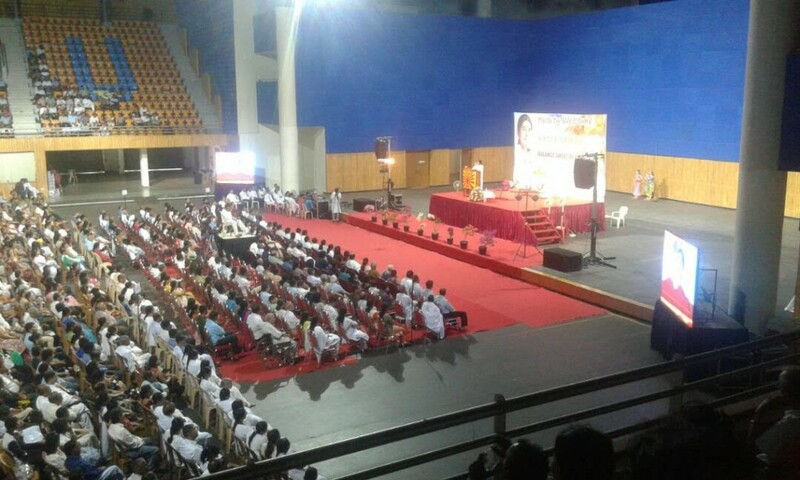 Sister Shivani addressing a huge gathering at Dr. Shyama Prasad Mukherjee Stadium in Panaji, Goa. 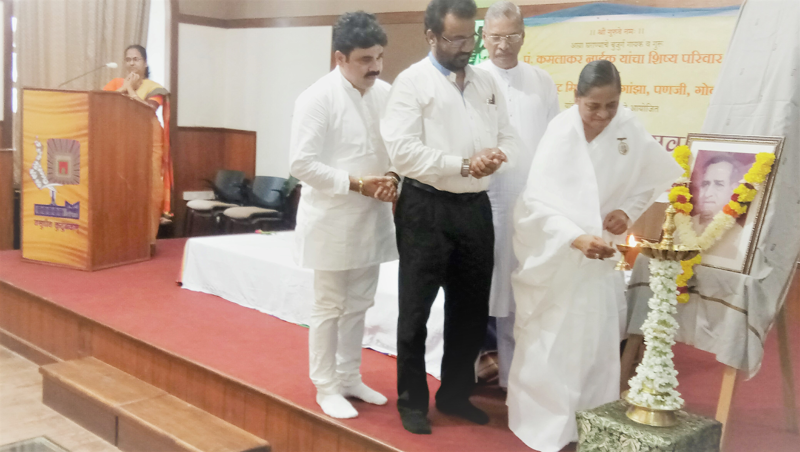 The lecture on ‘Balance Sheet of Life’, organized by the Brahma Kumaris unit of Panaji, Goa on Tuesday, 23rd May, 2017 evening, received overwhelming response from the public. 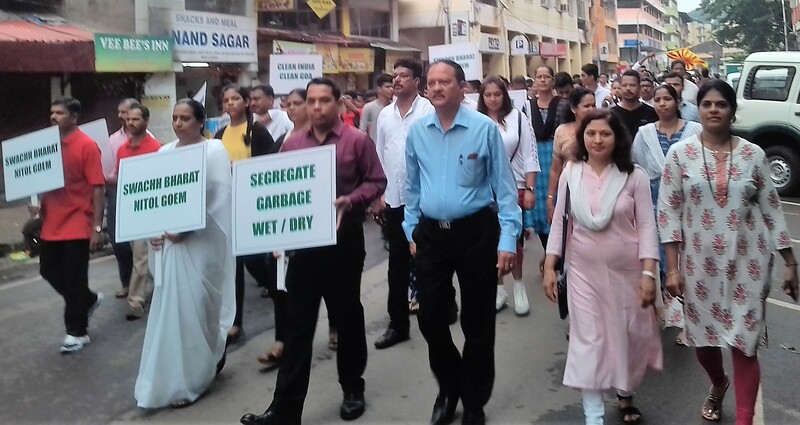 Among the dignitaries who attended the function included Mr. Shrinivas Dempo, renowned industrialist, Dr. Pramod Sawant, Ho​n​’ble Speaker, Goa Legislative Assembly, Mr. Vijay Sardessai, Minister for T&C Planning, Mr. Jayesh Salgaonkar, Minister for Housing, Mr. Govind Gawde, Minister for Sports and Ms. Vijaya Pol, District Judge.